Hot Eats and Cool Reads: We Have a Winner! Cooking Planit & T-Fal Cookware Giveaway! We Have a Winner! 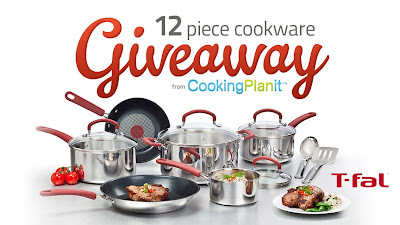 Cooking Planit & T-Fal Cookware Giveaway! Congrats to Cynthia W. who is the winner of the Cooking Planit & T-fal Cookware giveaway! She has been emailed and already responded with her info! Woo-hoo! If you didn't win here at Hot eats and cool reads, don't forget to stop by and register to win at the blogs who still have giveaways starting and still have giveaways open! Their links are below! Good luck and thanks so much for participating!